Whether you call it Recycled, Refurbished, Refreshed, Redeployed, Recommissioned or Like New, you can be assured that it's in tip-top shape if it comes from KX-TD.COM. Many companies sell used and then call it refurbished. Often times they have no idea whether the product even works or have the means to test it. Our Refreshed Panasonic equipment is cleaned, tested, disinfected and then polished. 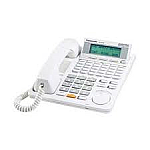 Telephones receive new handset cords, new line cords and new designation strips; even updated software when applicable. 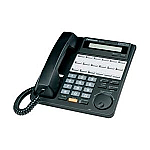 PBX systems will always be upgraded to the latest software prior to shipping. Circuit cards are thoroughly tested for their intended use, meaning that Station cards are connected to actual extensions and conversations are placed through every circuit. Likewise, Trunk cards are connected to the Central Office and test calls are placed through the cards. Reusing is also good for the environment. Below is a list of currently available equipment that has been meticulously refreshed. If you don't see what you are looking for on the list, we could still have it but just not posted yet, so please send us an email or call us with your request.